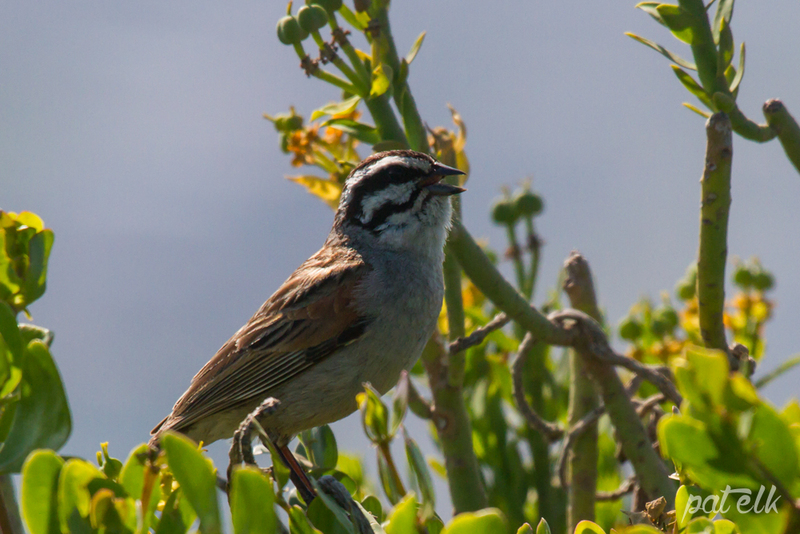 The Cape Bunting (Afrikaans name, Rooivlerkstreepkoppie) is a (near endemic) common resident in the South of the country and uncommon in the North. 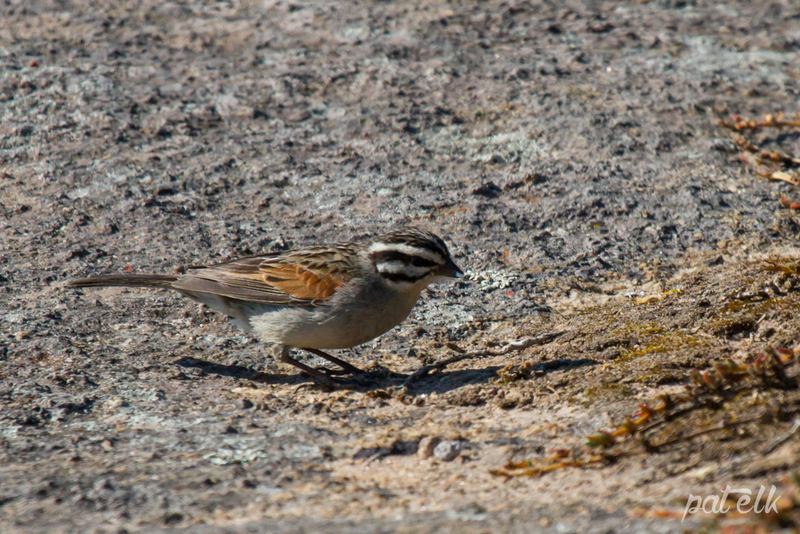 Little sparrow like birds with a striped head and face, feeding mainly on seeds and grain. 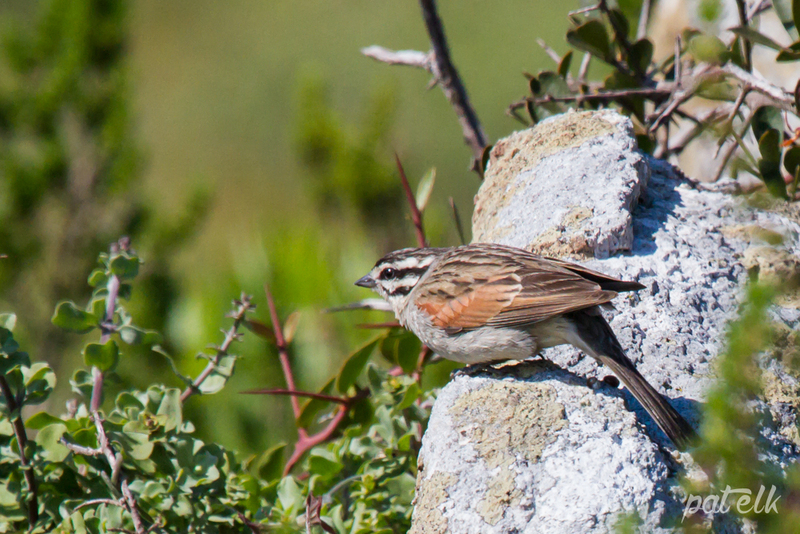 Occurs mostly on rocky outcrops with a little bush or shrub. We saw them in the West Coast National Park.